We are delighted to show off our F1 in schools car! This car will be racing at the F1 World Finals in Austin, Texas. The car is the end result of two years hard work by Impulse, our Repton Dubai team. 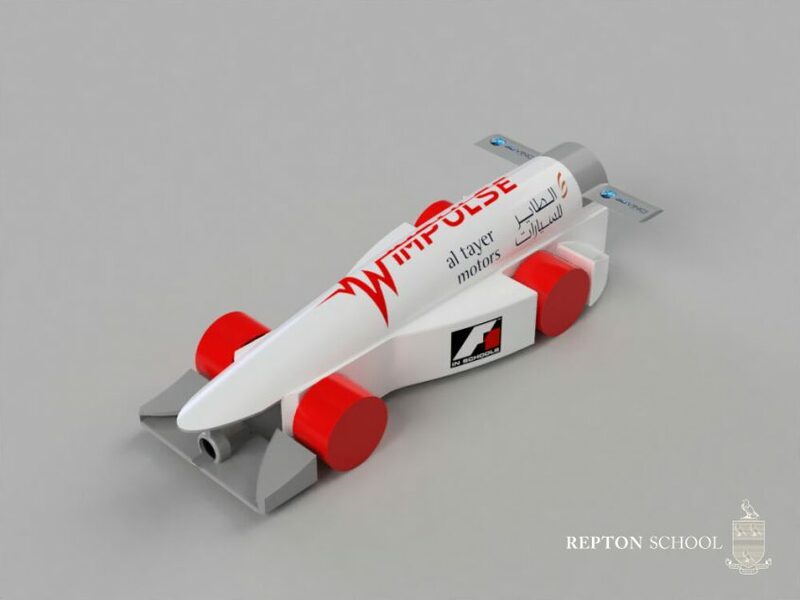 Impulse is representing Repton School and the UAE against 40 other teams from across the world. – Maryam A., Tiana B., Khaya N., Karim F., Taha F.